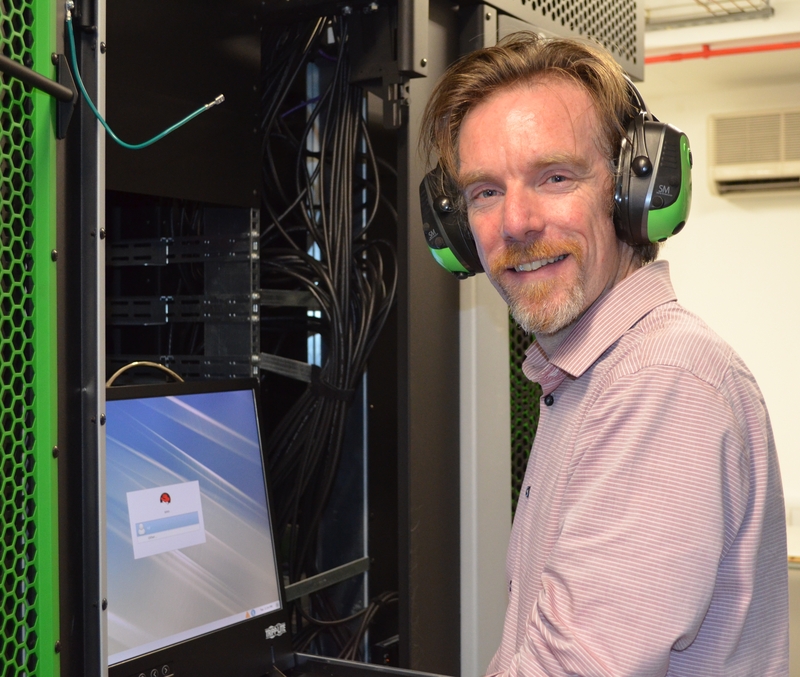 The Earlham Institute (EI) as selected Verne Global’s data centre campus in Iceland to investigate the efficiencies of distributing large-scale genomics and computational biology data analysis. EI, through Verne Global, will have access to one of the world’s most reliable power grids, delivering close to 100% geothermal and hydroelectric renewable energy. 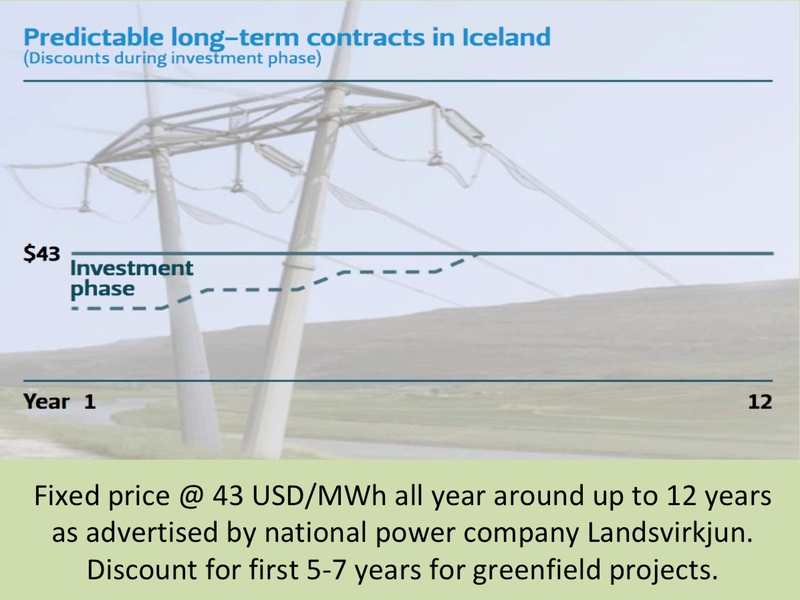 According to a story on Yahoo Finance, Verne Global “will enable the EI to save up to 70% in energy costs […] and with no additional power for cooling, significantly benefiting the organisation in their advanced genomics and bioinformatics research of living systems.” The power cost for EI in Iceland is said to be 40 GBP/MWh, which at current exchange rate is close to 50 USD/MWh. In a video posted on EI’s website (also available on Vimeo), Dr Stitt further describes why moving their High-Performance Computing (HPC) workload to Iceland made economic sense. To tackle the big data requirements of EI’s genomics and bioinformatics research in decoding living systems, EI wanted to explore the benefits of remotely managing its HPC resources. Mr Stitt explains that the Verne Global Icelandic campus provides an economical solution by protecting against energy price inflation over the next 10-20 years, with their environmentally friendly and fully sustainable power supply. In addition, the cooling is free and optimised design infrastructure is to reduce the total costs of EI’s scientific computing infrastructure. 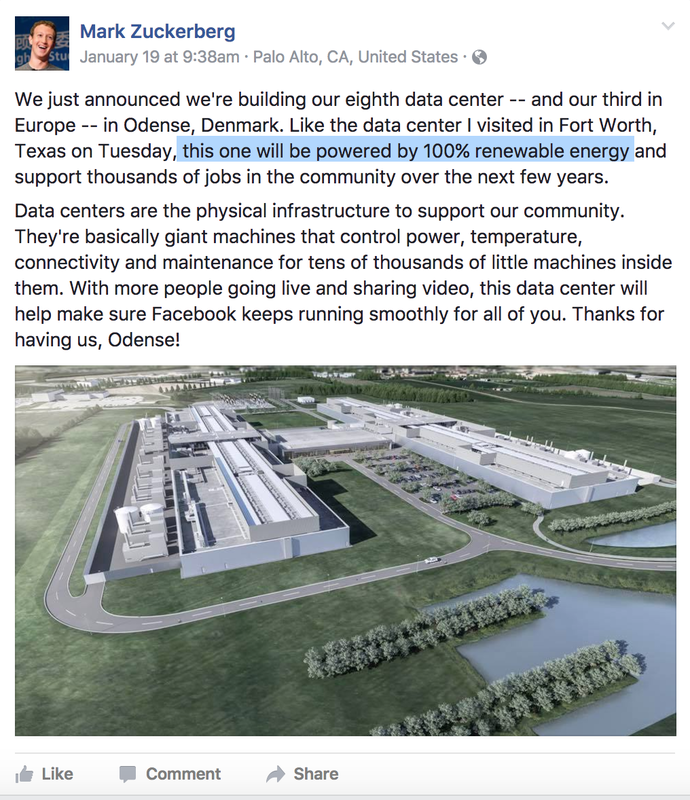 This is obviously a very positive development for the Icelandic data centre industry. 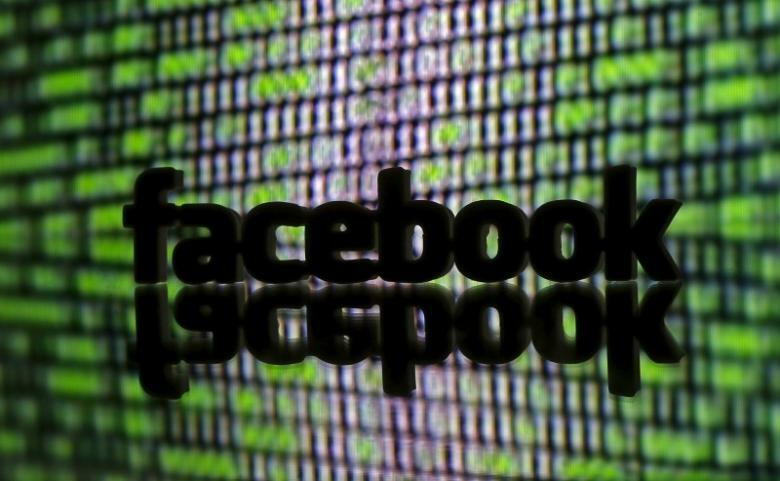 Which can be expected to experience rapid growth in the coming years. 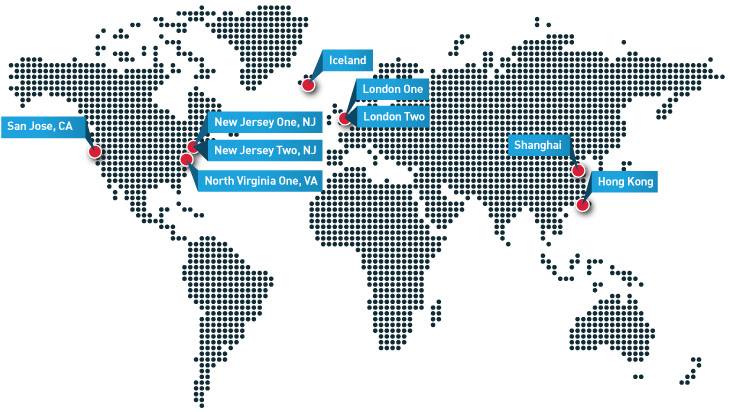 Which are the main decision drivers when companies are selecting location for data centers? This was the topic of an interesting presentation given Mr. Phil Schneider in Reykjavík earlier this summer. The event attracted high number of audience, which is not surprising as the date centre service in Iceland has great possibilities for strong growth. Mr. Phil Schneider is the President of Schneider Consulting LLC and Chairman of the Site Selectors Guild. The Guild* is an association of the world’s leading site selection practitioners. Guild members provide location strategy to corporations across the globe and for every industry, sector and function. Mr. Schneider divided his presentation into three main parts. Firstly, he discussed the most important general issues that dictates the choice of companies regarding location of their business units. Secondly, Mr. Schneider described how this relates to the location of data centers. And thirdly, he discussed the challenges facing Iceland in attracting more investment in data centers in Iceland. The data centre sector is growing rapidly all around the world. This trend creates interesting opportunities for Iceland in increasing diversity in the Icelandic economy. 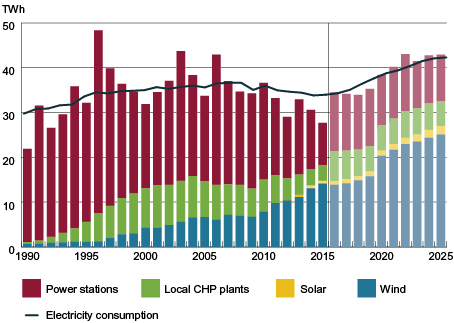 Due to extensive hydro- and geothermal resources, Iceland is able to offer more competitive long-term electricity contracts for data centers than available anywhere else in the western world (in addition, the Icelandic electricity is 100% green power). This is an important incentive for locating data centers in Iceland. Furthermore, Iceland has highly qualified workforce for this sector and a competitive tax system. However, Iceland needs to consider its marketing strategy and must present the necessary information in a way that is easily accessible. clear, and understandable. Although site selection for data centers aims at being based on a thorough assessment of all the variables that may be relevant, it is quite common that misunderstanding regarding risk factors becomes a a major decision factor. According to Mr. Schneider, companies often jump to wrong conclusions regarding risk factors. In the case of Iceland, foreigners may for example have the perceived feeling that Icelandic is a risky location due to earthquakes or volcanic eruptions. In fact, natural risks are a less threat to business operations in Iceland than in for example most areas of the USA. In this context, it is tremendously important to present correct and accurate information to avoid wrong assumptions or mistaken image. In his lecture Mr. Schneider emphasized the importance of good access to clear and reliable information about the Icelandic business environment and the energy sector. 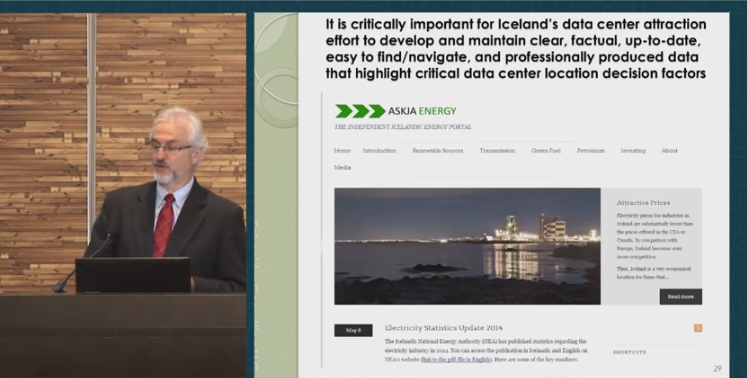 He especially referred to the Icelandic Energy Portal as such a source, regarding data center site selection. In the coming months we, at the Portal, are going to emphasize even stronger the issue of locating data centers and storing data in Iceland. Note that Mr. Schneider’s presentation can be watched here (starts at 36:22). * Founded in 2010, the Site Selectors Guild is dedicated to advancing the profession of international corporate site selection by promoting integrity, objectivity, and professional development. Members are peer-nominated, vetted, and must demonstrate a significant amount of location advisory experience. Guild Membership is the highest standard in the site selection industry. The Icelandic national power company Landsvirkjun has published a new video, explaining how data center operators in Iceland are using clean, renewable energy to power some of the world’s lowest total-cost-of-ownership (TCO) data centers. Landsvirkjun is Iceland’s largest electricity generator, processing around 75 percent of all electricity used in Iceland. 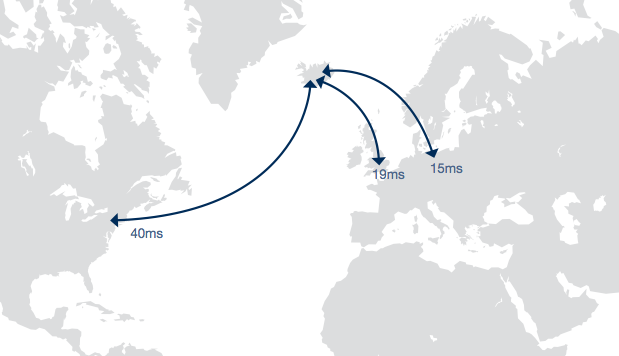 According to a report by BroadGroup Consulting, Iceland is a highly attractive place to locate data centers. BroadGroup‘s, analysis show that on the key issue of power (encompassing everything from costs to quality to regulation) Iceland scores higher than leading global data centre locations such as the US, UK, Sweden, Singapore and Hong Kong. 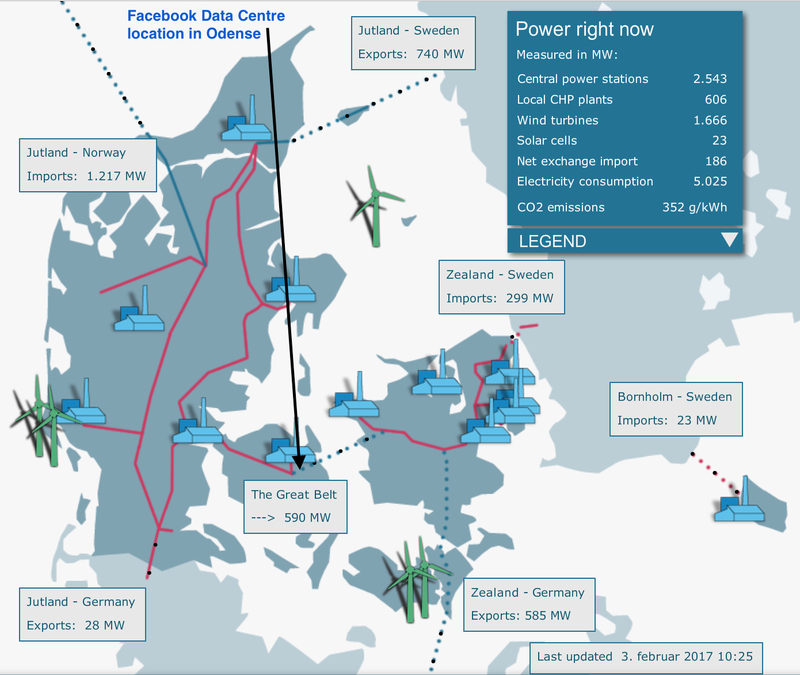 The report states that power costs for data centers in Iceland can be half of those in Scandinavia, and significantly more competitive than other European countries. And what is even more important, Iceland’s power costs remain very likely to stay much lower than other countries. It is particularly important that data centers constructed in Iceland have the opportunity to cap the prices for ten years or even longer for greenfield projects. In addition to the low prices, it is an important fact that the power in Iceland is 100 percent from renewable sources. 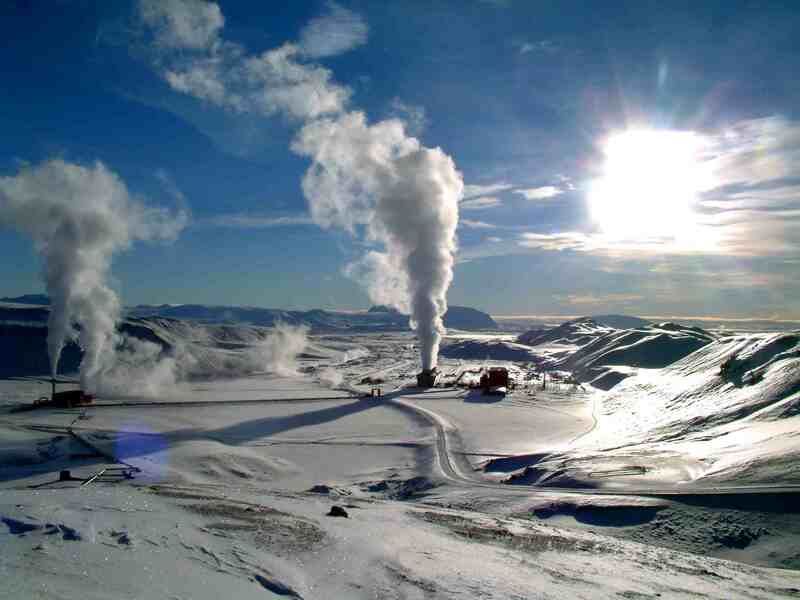 Iceland produces electricity using exclusively hydropower, geothermal energy and onshore wind. These are sustainable, environmentally green resources with zero carbon trade-offs. This makes Iceland an ideal location for addressing corporate responsibility considerations. On telecoms, existing connectivity (Greenland Connect, FARICE and DANICE) are being substantially upgraded. Significant new capacity is planned to be added over the next several years. The telecoms pricing attractiveness and strong telecom connections are well illustrated by existing users in Iceland, such as Opera Software. You are welcome to contact us at the Icelandic Energy Portal for more information on building, owning and/or operating data centers in Iceland. Iceland’s green data centers are receiving growing interest. They run 100% on renewable energy and offer the lowest carbon footprint in the industry. 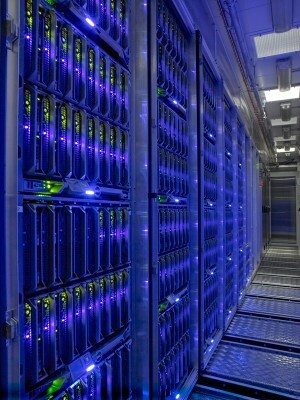 It does indeed matter if a data center is green or not. According to a report by UBM Tech and InformationWeek, 22 percent of 100 executives said they regularly track energy usage in their data centers, and close to 60 percent of IT decision makers say the state of their data center is fair, serious or urgent, and at the brink of running out of capacity in 2014. 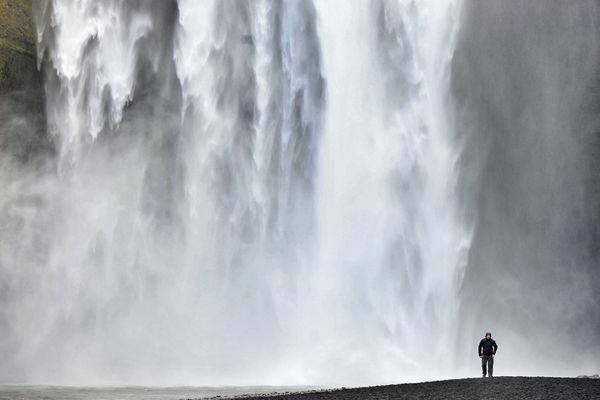 For many of those executives and IT people, Iceland may be the perfect location for their data. Small and large companies alike are looking for greener options. Adobe, eBay, Facebook, Hewlett-Packard, Salesforce and Symantec have joined the Future of Internet Power initiative to showcase low-carbon power. IBM is heavily into promoting green data center design; the European Union Commission honored 27 of them in January 2012. EBay also has raised the bar by with its Digital Service Efficiency (DSE) methodology, which links how many “buy” or “sell” business transactions are completed per kilowatt-hour. Recently, the GreenBizGroup listed 12 green data centers and co-location facilities that stand out for innovative cooling, green energy or head-turning designs. One of them is the data centre of Verne Global in Iceland. 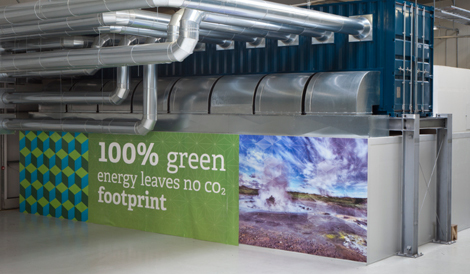 According to GreenBiz, the geothermal and hydroelectric-powered campus of Verne Global in Southwest Iceland calls itself the first zero-carbon data center. Among its customers are automaker BMW Group and the Climate Action organization. BMW is using the campus of Verne Global for crash simulations, aerodynamic calculations and other computer-aided design (CAD) purposes. This requires plenty of electricity, both for the transactions and to keep the infrastructure cool. By moving ten of its high-performance computing clusters (HPC) to Iceland from Germany, BMW hopes to reduce annual carbon emissions by 3,570 metric tons. What is no less interesting for BMW and other companies considering where to host their data, Iceland not only offers green electricity and natural cooling, but also electricity prices that are lower than anywhere else in Europe. 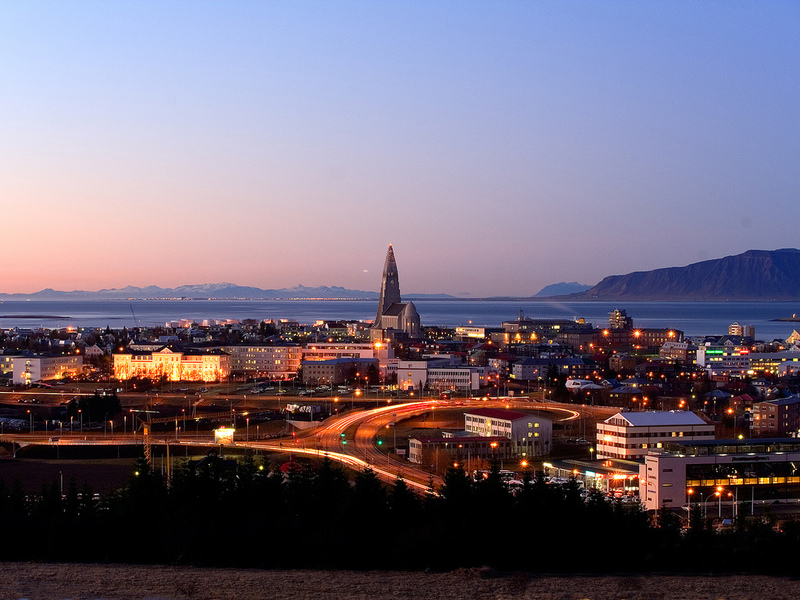 Therefore, it is quite obvious that Iceland has excellent possibilities for becoming a leading data centre hub. Businesses overseas are turning to Iceland to host their data, making use of cheaper energy and natural cooling resources. Icelandic datacenters do not only offer very competitive prices, but also reduce carbon footprint and improve green credentials, as they are powered by renewable electricity only (from natural hydro- and geothermal resources). A recent study by PricewaterhouseCoopers found that the operating expenditure of a 10,000 sqf data center in Iceland, over a 15 year period, is USD 130 million cheaper than running it in the United Kingdom or in Continental Europe. Thus, Iceland offers dramatic savings in the long run. According to Invest in Iceland, a government body provides information to foreign investors, a fifth of data centre costs are spent on power. Half of that is used for cooling. In Iceland, businesses have access free-air cooling all year round and thus saving substantially on cooling costs. In addition, the electricity is much cheaper in Iceland than in the rest of Europe. In Iceland, data centers are currently being offered power at the price of USD 0.043 (4.30 cents) per kWh, which is less than half of the price which is common in other European countries. This low Icelandic price can be locked up for at east 12 years, offering businesses a clear understanding of operating expenses in the long run. Furthermore, while cost is one of the major factors attracting data centre investment and services to Iceland, carbon footprint is also an important driver for European businesses to consider Iceland as a location for their data. 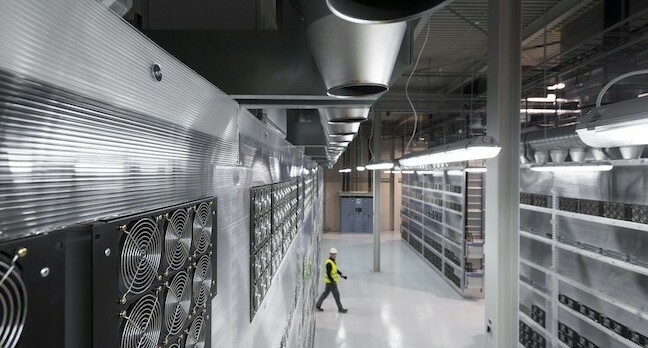 As European carbon taxes begin to bite, companies are looking towards Iceland’s carbon free data centers as a long-term option to demonstrate their commitment to green IT. Currently, three data centers have been constructed; the Advania, GreenCloud and Verne Global. The Icelandic electricity generation and distribution ranks as one of the most reliable in the world. Thus, Iceland data centers offer 99.999% uptime, and power companies are willing to put that uptime in the contract agreement. 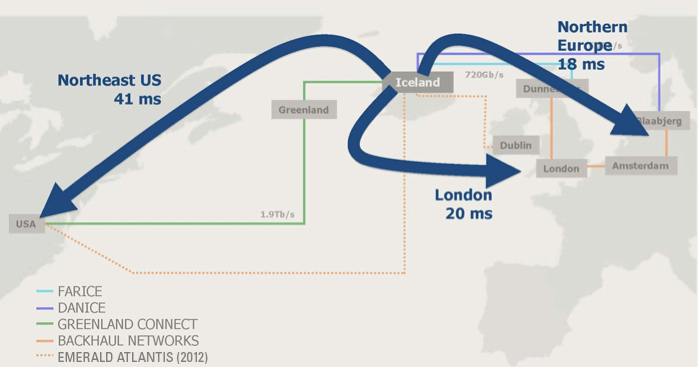 Connectivity to the Icelandic data center facilities is provided by redundant, high-capacity, multi-terabit-per-second connections, including Farice, Danice and Greenland Connect. Volcanic activity in Iceland may have the effect making investors reluctant to invest in data centers in Iceland and same may apply to businesses regarding hosting their data in the country. But the fact is, that large areas in Iceland have no volcanic activity and none seismic risk. In a nutshell, the risk for data centers from natural hazards or extreme weather are no higher in Iceland than in most other European countries. The regulatory environment in Iceland is clear and is built on European standards (Iceland is a full member of the European Economic Area; EEA). Numerous agencies and local governments are willing to assist companies interested in investing. Our readers are welcome to contact us at the Icelandic Energy Portal for more information. You can call us at +354-863-8333 and/or send message through our contact-form.